When To Use A Hair Mask? Suffering from dry, damaged hair and split ends so severe that simply washing and conditioning does nothing to help? If so, don’t worry – you’re not alone. But you should probably take the opportunity to reexamine the shampoo you’re using. It’s probably one of the leading causes for your dry hair and split ends in the first place. With that being said, there are natural and holistic solutions that you can make use of in the comfort of your own home. Not to mention the fact that they can be made entirely in the comfort of your own home too, with all natural and organic ingredients. A hair mask is the best way to restore your hair’s natural moisture and nourish it from inside the cuticle while treating the outside of the follicles. 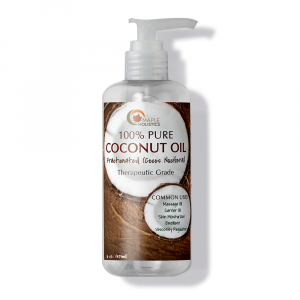 This helps to promote stronger, healthier hair and can restore your hair’s natural sheen. By using a hair mask on a regular basis, you can restore and nourish your hair much faster than if you only used shampoo and conditioner. Plus it’s also a much more cost-effective option than going to a salon. You’ll have more control over your own hair. In this article I’ll give you the basic definition of what a hair mask is and how it works. I’ll also be focussing on avocado oil as a natural treatment for dry, damaged hair and investigate other suitable essential oils. I will focus primarily on organic, healthy ingredients, their benefits, and give you an easy DIY recipe that you can use to make your own hair mask. So keep reading! A hair mask is similar in effect to a deep conditioner and facial mask combined. Hair masks are generally designed to be left in over a longer period of time than most regular conditioners. This extended period of time allows the nutrients and moisturizing properties of the mask to have more of an effect on your hair, helping to nourish both the inside and the outside of the hair follicle. Hair masks come in a variety of shapes, sizes, smells and colors and each may use a different set of ingredients as their base. Many of the more effective hair masks are rich in protein, as this helps to restore your hair’s strength and sheen. As with most conventional hair care products, a large amount of hair masks and deep conditioners tend to contain parabens and sulfates, among other solvents. These are best avoided as they can have negative effects on your hair or health in general. This is why I would personally recommend going the DIY route, as it’s more cost effective and healthier in the long run. Saving money and staying healthy is always a preferable outcome. When’s The Right Time To Use A Hair Mask? Hair mask for damaged hair. If you have coloured hair or have highlights, conventional shampoos are not recommended. Over time, and with each wash, they tend to strip your hair of it’s natural proteins and oils. This leads to a loss of color, sheen and eventually dries your hair out. Once your hair becomes dry, it’s easily damaged and this generally leads to split ends. Using a hair mask 2 or 3 times a week instead of shampoos, and sticking to herbal conditioners on a daily basis, is a great way to keep your color in. By doing this, you can also maintain stronger, healthier hair with heightened natural luster. It’s a good time to consider using a hair mask when your hair becomes frizzy, dry or shows signs of split ends. This is a good indication that your hair is lacking moisture and needs serious attention. 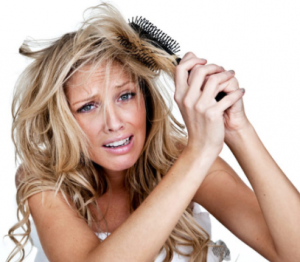 Without remedying dry hair in this condition, breakage becomes inevitable – which means hair loss. Something we’d no doubt all like to avoid. So if you tend to spend a lot of time outdoors or in a swimming pool (with lots of salt or chlorine) or even spend a lot of time in the ocean, using a hair mask should be on your list of hair treatments. I would also consider hair masks if you’d like to cut down on the amount of times you wash your hair, or would like to stay away from conventional shampoos, hairsprays and conditioners. 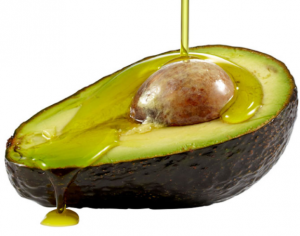 Avocado oil for hair mask. 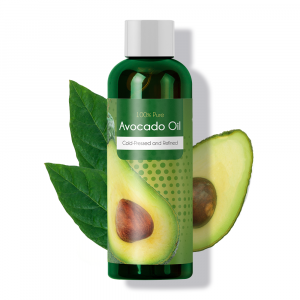 Avocado oil is used in many shampoos, conditioners and hair care products because of its healing and nourishing properties. Avocado oil is rich in vitamins A,B,E and D as well as amino acids and protein – essential for maintaining hair strength and growth. Avocado oil is also rich in minerals that are essential for healthy hair growth including iron, copper, magnesium and folic acid. The oil is also light on sensitive scalps and will help to balance out your hair’s natural oils without stripping them from your hair. 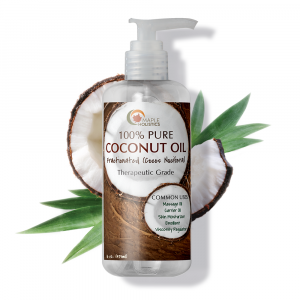 This will keep your hair moist and soft over time and can help to prevent split ends, frizzy hair and fallout. On average, a human will shed roughly 50 – 100 hairs a day, so keeping your hair strong and healthy is important even when it’s not dry or damaged. Avocado oil is the best way to accomplish this as it’s all natural and strengthens your hair from within. And remember, it does so without the side-effects that are common in conventional shampoos and conditioners. This is a really easy, all natural hair treatment that shouldn’t take you more than 30 minutes to prepare. It’s best to prepare the treatment immediately before each application, as the bioactive compounds contained within a fresh avocado are the most effective when they’re, well – fresh! The recipe is so purely natural and simple, that you could even eat it raw! That may sound strange, but it’s important to remember that if it’s going on your scalp or skin, it’s basically going to wind up inside your body. In my opinion, this should be the ultimate example of a purely natural product – as you wouldn’t ever put oxybenzone, alcohol solvents or methylparabens in your salad. So why would you put them on your scalp? Anyway, I won’t bore you with the health rants. Let’s move straight into the recipe and application at hand. You will need 1 Fresh Avocado, 2 Teaspoons Coconut Oil and 2 Teaspoons Avocado Oil. Once you have the ingredients, simply peel the avocado and scrape all the flesh out into a blender. Blend the flesh until it turns into a light puree’ and scrape it out into a bowl. Now, heat a pan on the stove and add the coconut oil and avocado oil. Allow this to simmer for a few moments and stir well so that the two blend. Remove the pan from the heat and pour the mixture into the avocado puree’ and stir until they all blend together. Once they’ve been mixed, scoop the puree’ into your hands and apply to either wet or dry hair. 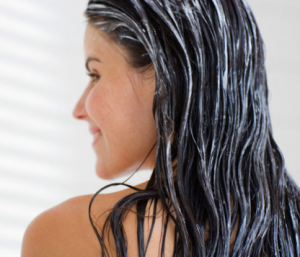 If you’re applying the mixture to wet hair, be careful as wet hair is more prone to breakage. Be sure to massage the mixture into your scalp and work it down your hair to the ends. You can even use a comb to ensure that it spreads evenly throughout your hair.Once the mixture is applied, cover your hair with a shower cap and allow it to dry for 30 minutes at most. If you leave it in any longer, it will become too hard and could damage your hair. Once the time has elapsed, simply rinse your hair with with warm water and a herbal shampoo or conditioner and you’re good to go. 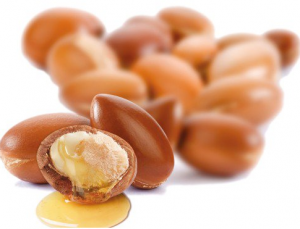 Argan oil For DIY hair mask. I listed avocado oil and coconut oil in the previous recipe largely because they are some of my personal favorites and because they’re readily available all year ‘round. They also offer amazing benefits for your hair and skin. Not only do they have tremendous nourishing properties, but they also act as natural antioxidants and antiseptic agents so will keep your hair free of germs and bacteria. These commonly lead to infection and inflammation – which then lead to dandruff and other skin/hair disorders. 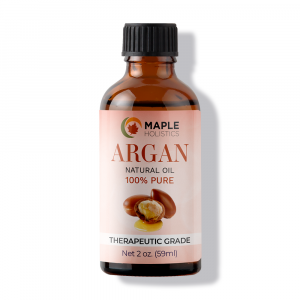 But other than these two oils in specific, I would also highly recommend trying Argan oil, Orange oil, Tea Tree oil, Lavender oil or Ylang Ylang in your avocado hair mask recipe. 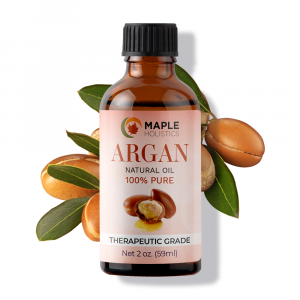 These all have amazing antioxidant properties and can act as natural blood thinners, helping to stimulate the flow of blood cells to the scalp when massaged in. This means that more nutrients will reach you hair follicles and help to strengthen and nourish them from within. On top of that, these oils help to cut through the excess oil in your hair and balance your hair’s natural oil levels. They also help to remove dead skin cells from the surface of your scalp preventing your pores from being blocked over time. This will ultimately encourage hair growth and can allow your scalp to grip the follicles better – ultimately giving you a stronger head of hair. Finally, some of the more superficial benefits of these oils is that they have wonderful natural odors which will keep your hair smelling fresher for longer. So not only will your hair look and feel better with each mask application, but it’ll be smelling fantastic throughout the day. I’ve used a number of hair masks over the course of my life and each have had their own unique effects on the quality of my hair. 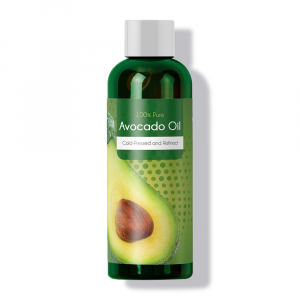 I did a lot of research on the effects of avocado oil on the hair and took note of the various benefits that this oil has to offer – so I wasn’t that surprised when even after the first use, the results proved to be right in line with what I was expecting. Due to the rich vitamin and nutrient content of avocado oil for hair, and the addition of other essential oils such as Tea Tree, Orange or Lavender oil, the nourishing benefits of an avocado hair mask are magnified 10 fold and will help to nourish your hair from the roots up. This is essential for ensuring that your hair reaps as many of the benefits from the mask as possible and will allow you to heal damaged or dry hair much more effectively. I would say it’s best to use the mask consistently once or twice a week (at most) for at least a month before you make your decision on it’s effectiveness. Personally, I found that after the first use, my hair felt softer, smoother and had a lot more natural body – but that’s just me. Everyone’s hair is different and therefore requires different treatments or products to remain healthy and prevent the onset of sun damage or hair loss. More specifically, the mask should be applied within the correct guidelines to ensure that it works to the best of its ability. Be sure to leave it on for at least 20-30 minutes, always apply it to wet or damp hair and always ensure that you brush your hair adequately before applying the mask. Because it’s a DIY recipe, you can use more of it at a time without worrying about running out (as it’s cheaper to create in large volumes) and control what ingredients you add as this allow you to formulate a recipe that’s more suitable to your hair type or needs in specific. Like I said, after using the avocado hair mask for around 2 weeks,my hair felt moisturized and full of body again. My hair felt balanced too (not too oily and not too dry) which means you’re on the right track for quicker healing. The mask also does wonders at healing split ends and frizzy hair, so if you’ve been using heat styling techniques and blow-dryers, then a hair mask would be best suited to you. In my opinion, the all-natural DIY option is definitely the better choice when it comes to maintaining healthy hair, skin and keeping your body balanced in general. And it’s not only me that’s prescribing this as an alternative. The market for natural products is growing on a daily basis as more and more people start to realise that the conventional stuff we’ve been brought up to consume – isn’t as good as it generally claims to be. On top of that, the idea of being able to make a product that is as effective as your conventional, on-the-shelf product yet comes at a fraction of the cost should appeal to anyone with some savvy. They don’t take that much effort and are much healthier – like I said, you could actually eat the homemade hair mask in this article. So as we’re trying to be more healthy-conscious with our daily lives, exercise routines and diets – our shopping lists should reflect a similar attitude. Or you’re basically running on the same spot, and making little, real progress. Get with the program – go all natural and embrace DIY recipes. They’re fun, rewarding and definitely the healthier choice, hands down, any day of the week.